7426 Wyndam RD Pennsauken, NJ, 08109, USA. With a power of 45w/ and SE circuit, this amplifier can work with most type of speakers on the market. 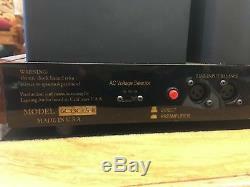 Sound quality and reliability are the main focuses when designing this amp. 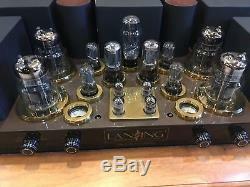 When you listen to this amplifier. 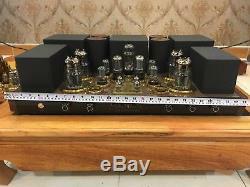 You will feel like you are listening to 300b and 845, because its sound quality will exceed your expectation about 6c33c tube. Because I designed a PSE circuit with some enhancements. Only high quality capacitors and transistors are used and all the OPT and power suppliers are high quality components that. Has low rate of failure and high accuracy specifications from. Functionality: Other than the mentioned components above, I also focused on the functionality of this amp so it can fit with all type of music. I used a PREAMPLIFIER for bass and tweeter. 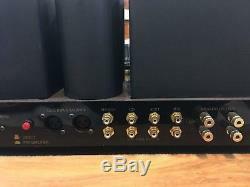 This amplifier have all the function you need for a professional amplifier. 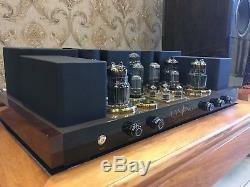 From phono input to balance, all are integrated professionally by myself. 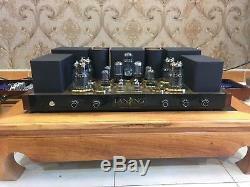 I also tested this amp with all kind of speakers. From non-professional to professional speakers, the results were outstanding that the sound is very clear and warm. 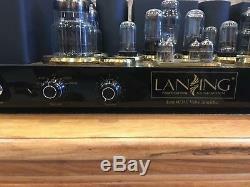 The phono is placed through two 6dj8 tubes, when listening to an analog sound, it will deliver a type of sound full of. Classical feeling but doesnt lose the clearness of the sound. The bass is soft and deep. And the midrange will deliver. A smoothness of the classical analog sound. The balance is placed through two high quality capacitors. When listening through the blance, it will deliver a clear. And even sound from all three frequency band. I myself is very enjoying when listening through blance because. It will further enhance the sound quality that exceed your expectation. With the output transformers design, we set it up for 4ohm, 8ohm, or 16ohm. 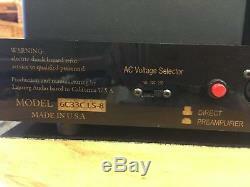 This amplifier can work with all frequency band from 4ohm to 16ohm. It can work with all type of speakers you have. All the input signal were set very accurately for your speakers. And the power supplier were set up to work for different voltage range from 110v/120v to 230v. You can also use a preamplifier separately through an off switch. 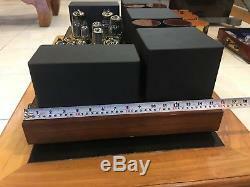 With all mentioned functionality, this amplifier is big and a bit heavy with both sides were constructed with natural. Wood for an elegant but professional style. All the circuit were designed with silver plated copper wire together with our own Lansing audios circuit board designed using. 100% silver wire aiming for zero loss signal to help to reach our desired sound quality. With more than 4 years of designing and developing this amplifier, now you can taste the sound quality thats on par with sound. Even more to reach this level of sound quality. We are a new company but we always improving our products to reach international standards. We dont falsely advertise our product. And 100% of our customers were very satisfied. We have limited stock due to low manufacturing capacity. If you wish to own one of this, please order now or contact our sale representatives. Music always brings joy and passions. My name is Johnny, Thank you. 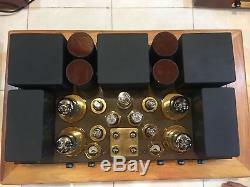 Keywork: JBl 375, 2440, 2442, 150, paragon, 2402,2405, le85, le175, jbl hartsfield, Altec lansing A5, A7, 515b, 288, 416,806,802,, mcintosh, electro voice, TAD, pionner. 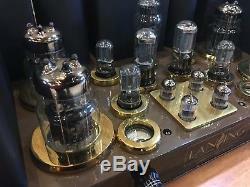 The item "Parallel Single-end stereo 6c33c Class A Triode Integrated Tube Amplifier" is in sale since Monday, January 21, 2019. This item is in the category "Consumer Electronics\Vintage Electronics\Vintage Audio & Video\Vintage Amplifiers & Tube Amps". 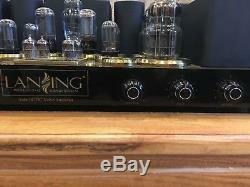 The seller is "tubeampstore" and is located in NJ.